Having a goal is AWESOME! But some goals don’t come cheap… like traveling the world. Or paying down debt. Or going to grad school. So we need to find flexible ways to finance our pursuit of these goals. Transcript proofreading is a super flexible way to ensure that your bills are paid while still allowing you to follow your dreams. 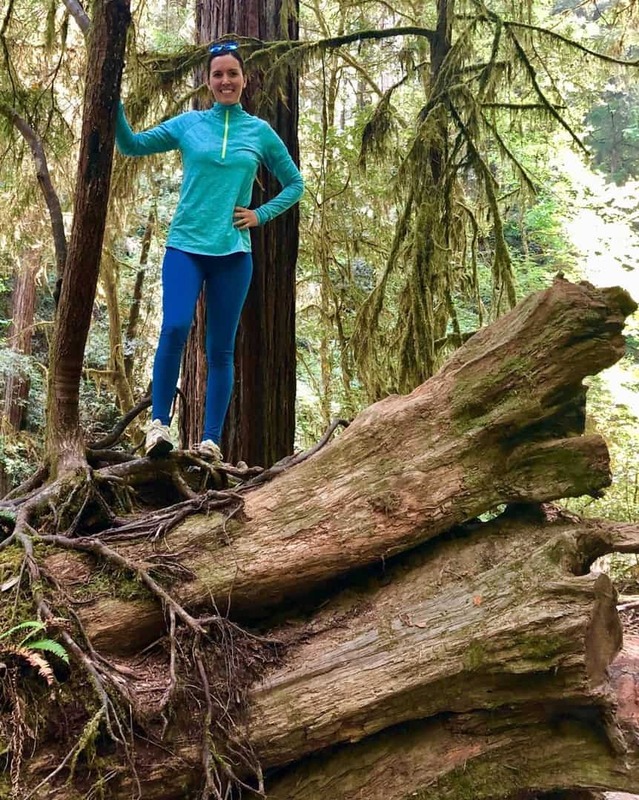 Q: Welcome to the blog, Kendra! Tell us a little about your background. What did your life look like before you crossed paths with PA? I had been an editor for a small publishing company for two years, a long-term sub for one year, and then moved to China to teach English at a university. When I discovered PA, I was in my second year of teaching English. I knew I’d be moving back stateside the following school year to attend ministry school, and I was looking for a way to support myself when I did. Q: Wow! China must have been an exciting place to live! When did you start proofreading, and what made you decide to learn how to proofread? I guess I started in 2012, although “proofreading” and “editing” aren’t exactly the same. Since I had already been an editor and pretty well knew what I was doing grammar-wise, it made sense to take a skill I already had and specialize it further! Q: Specializing can definitely help you stand out. What was the most challenging part of getting started? For me, getting started with marketing was hard. It feels arrogant to say “I’m great at this! Hire me!” And then there’s the problem that everyone and their brother *thinks* they’re good at proofreading, so you have to distinguish yourself as someone who actually is. Additionally, sometimes the people you happen to market yourself to just don’t need a proofreader at that particular time. I’ve gotten replies on LinkedIn ten months after I sent my first message to the person! So it’s hard to be patient and know that marketing will pay off eventually; it just might take a little time. Q: So true. Patience is key! What was the most valuable thing you learned during the course? Since I already had strong editing skills, the most valuable part of the course for me was learning the particular quirks of the transcript industry. If you’ve never seen a transcript before, you don’t know the format or standards for them. I always say that editing/proofreading is a science as well as an art, and each industry is a bit different on its “art” preferences! Q: I couldn’t agree more. Proofreading is definitely an art! How long did it take you to find your first client? And how many clients do you have now? I think it took me about two months to find my first client. Now, I have seven regular clients and four to five who send me transcripts occasionally when their regular proofreaders are busy. 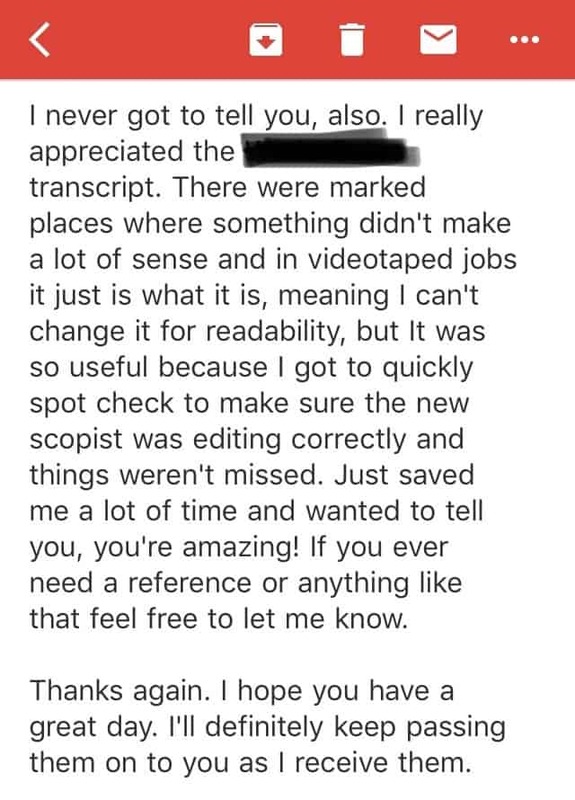 That’s plenty for me, especially since transcripts aren’t the only thing I proofread/edit… I work for four different industries. My income tends to vary with the court reporters’ schedules… July was my lowest month (around $1,200) since that’s a month a lot of reporters take a vacation. In August, they made up for it when they all got back—I made around $3,200! Here’s what one of Kendra’s happy clients has to say! Q: How long did it take you to recoup your investment? I believe it took me between a month and a half to two months to recoup my investment. Now, I’m regularly making twice that amount in a single month. Q: What advice would you give anyone thinking about enrolling in the course to learn how to proofread? Is it worth the money? Get an honest assessment of your own language skills before you start, whether you can do that yourself or need someone else to help you like Proofread Anywhere’s free 7-day intro course. If your skills aren’t strong going in, the course may take you a little longer to complete—but that doesn’t mean it isn’t worth it. If you want flexibility in your life, doors opened to other opportunities, and the ability to set your own schedule and make as much as you want from week to week, take the course! The work pays off. Besides, you might just find a great friend through the course: one girl I met through the course I text with almost daily! Q: That’s awesome! I’ve made some great friends through the course as well. 🙂 What does your life look like now as a working freelance proofreader? I love the flexibility I have. My mind is most focused in the morning, so I like to work a solid morning, take a nap in the afternoon, and then work more in the later afternoon or evening. 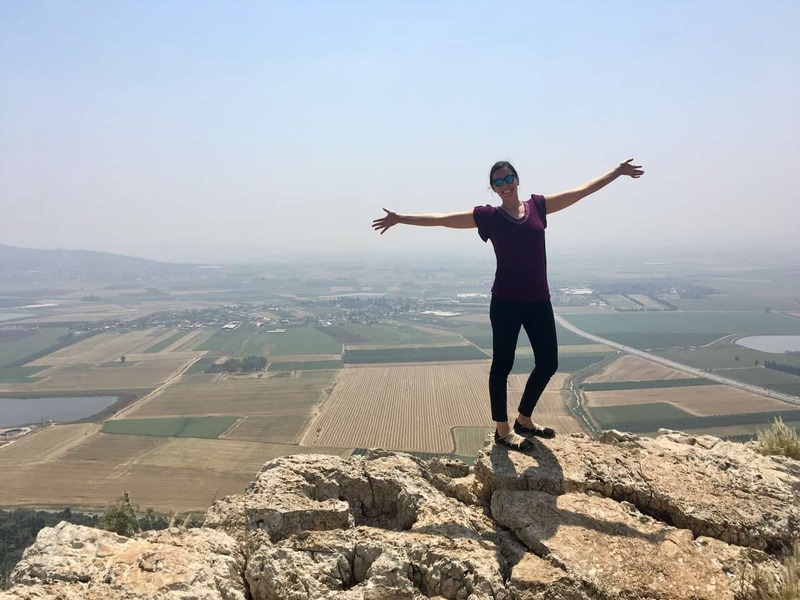 I’ve been in two other countries and four states since I started this job—and that’s in less than a year! My brother asked me to help him move last-minute, and it was easy to take my iPad with me for the six-hour road trip with just 24 hours’ notice. I recently moved, too, to start a master’s program, and my transcript work is how I’m going to pay for grad school. I’ll be working on finding work/homework balance in my life over the next few months! Q: I’m so happy proofreading is going to help pay for grad school! Anything else you’d like to share with the PA community? One of the best perks of PA is being part of the Facebook group for graduates of the course. You can ask questions, search for things you aren’t sure about, and find support from all the other grads. 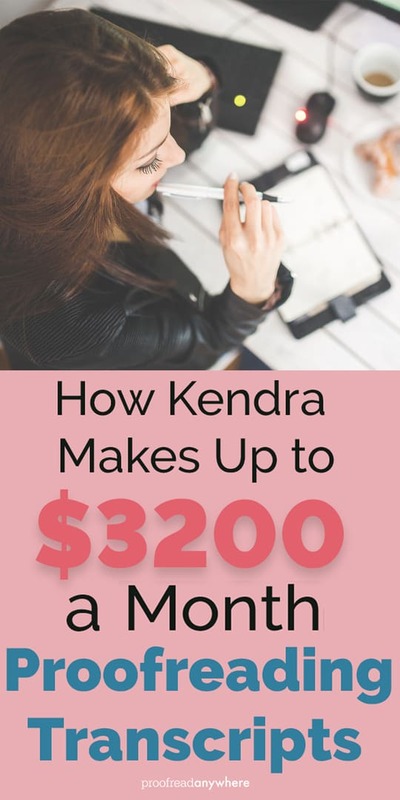 Kendra found a way to finance her goals and now she’s proofreading her way through grad school. She’s also proof that you can proofread anywhere, from China to a cross-country road trip. Keep up the good work, Kendra! Have some big goals you want to achieve but not sure how to pay for them? Check out my FREE 7-day proofreading course and take the first step toward achieving your goals!